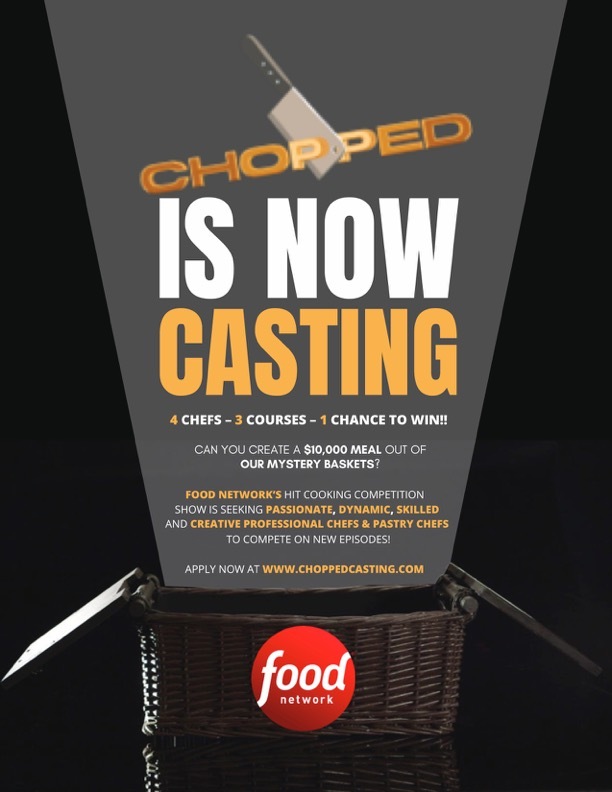 NOW CASTING Strong Female Chefs for Food Network’s CHOPPED! Seeking strong female chefs (ECs, CDCs, strong sous, caterers/private chefs, pop-up chefs) who may be interested in competing on new episodes of CHOPPED! CHOPPED is a full-day commitment in our NYC studios. Chefs would travel in the day before the shoot, plan to spend the full day of the shoot, and free to travel out as early as the next AM. Episodes will shoot in April thru early July. Looking to meet chefs THIS WEEK, so time-sensitive. I want to present my resume to you for the opportunity to be a female participant on chopped this April. You gotta submit through the instructions listed on this page.